Hear Now Live will be presenting a big 5-band bill Friday night at Precinct with a few Boston notables – Dead Cats Dead Rats and Shoney Lamar & The Equal Rights – and two other Boston-area bands. 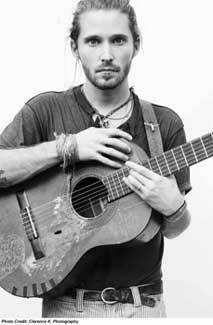 But the one I’m really here to talk about is Brooklyn-based Christopher Paul Stelling. His debut album, Songs of Praise & Scorn (Mecca Lecca Recording Co), was released back in February, and it’s quite wonderful. I’ve written about Mr. Stelling’s very impressive acoustic finger-picked guitar; smooth, soulful and occasionally hellfire-explosive southern gospel vocals; and personal storytelling a few times now on ‘musings.’ The album is stunning, with minimal accompaniment in the form of gorgeous gypsy violin courtesy of Cheyenne Marie Mize and additional vocals from Julia Christgau. Last time he was also at Precinct, and I see now with Shoney Lamar as well, and for some reason I wasn’t able to get there. I’ll do my best not to make the same mistake twice. I’ve heard his live performances are quite powerful and compelling. Have a listen below, and put this on your calendar (get there early, as it seems he’s on first). 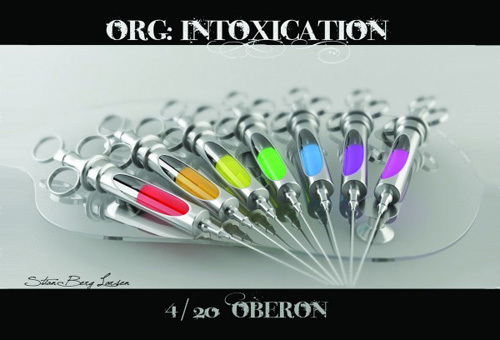 Org: Intoxication (under the influence) @ Club Oberon, Friday night! Anyone who has been to one of Singer Mali’s infamous Orgs knows this is not to be missed. This one is open to the public, and is the 3rd such extravaganza at the wonderful Oberon in Harvard Square (think: gothic supper club). The theme this time is “Intoxication (under the influence,” and its mission statement: “to exhilarate and stupefy as if by liquor.” I have no doubt this wonderful line up of artists and oddities will do just that.F For those uninitiated, Orgs are multimedia spectaculars; avantgarde, gothic variety shows. Very special. Here’s a taste of what’s in store. Has it really been two weeks since I’ve posted anything? Sorry about that. Coming up soon in musings from boston, a few ‘shows of note’ coming up next weekend (Org: Intoxication @ Oberon, Christopher Paul Stelling @ Precinct), and profiles of bands that caught my ear over the past several weeks. Stay tuned. For now, check out coverage from Night #5 of the Rock ‘n’ Roll Rumble preliminaries over at Ryan’s Smashing Life. More about the ensuing battles will be turning up there in the coming days, and don’t forget the finale at T.T.’s with Bow Thayer and Perfect Trainwreck, Garvey J (and the Secret Pockets of Hope and Resistance) and ?? (wildcard, tbd) on Friday!